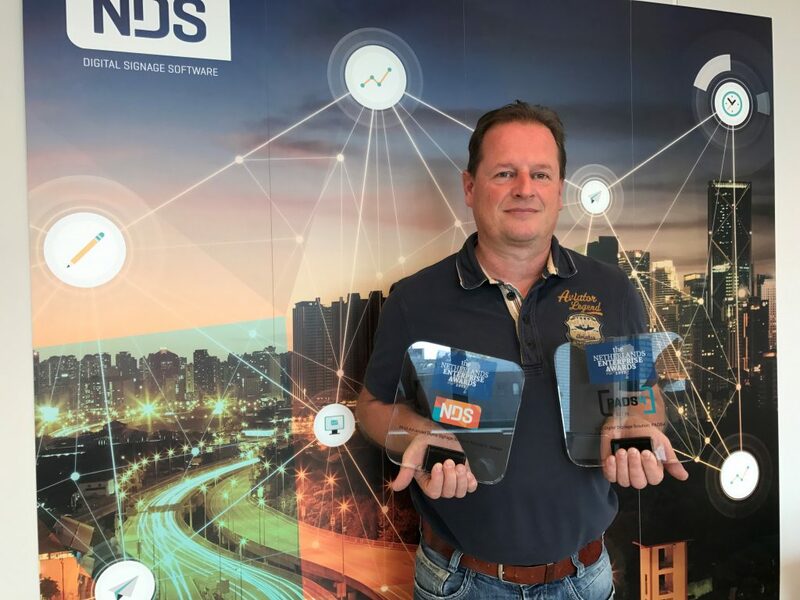 We are very excited to announce NDS has been recognized as ‘Most Advanced Digital Signage Software Provider’ at The Netherlands Enterprise Awards 2017 organized by Worldwide Business Review Magazine. As the front-door to the European business market, the Netherlands is truly bursting with exciting business opportunity. Every year small and large enterprises of the Netherlands aim to provide an impeccable standard of service across a vast variety of industries. As one of the world’s most open economies and ranked #2 for overall logistics performance worldwide, the Netherlands operates a highly competitive business market with a network of professionals tirelessly working to offer the best service and value. The Netherlands Enterprise Awards 2017 are designed to celebrate the talent that has provided some of the best products and services in one of the most influential business regions of Europe. CEO Willie-Jan Bons proudly posing with our two new awards. Every one of our winners can truly rest assured that their recognition was deserved, as we have carefully scrutinise everything from a nominee’s sector to their performance over the past 12 months, their commitment to innovation, their methods and even their competition to ensure that only the most deserving names walk away with one of our prestigious accolades. 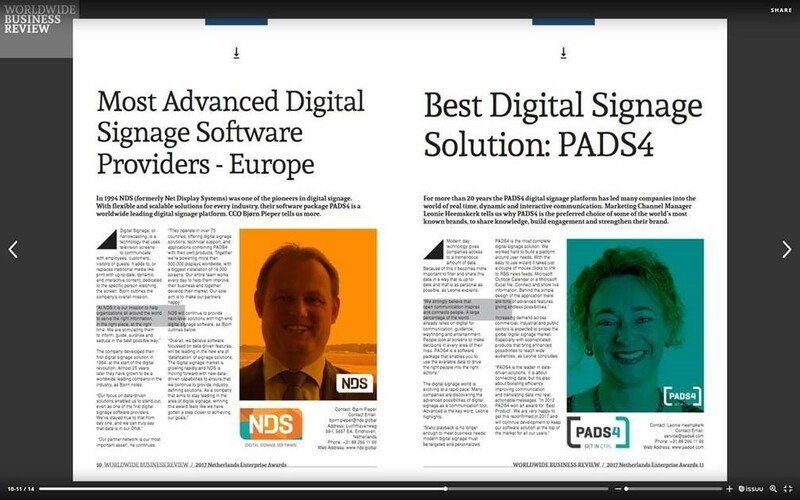 Our flagship product PADS4 was also awarded ‘Best Digital signage Solution’. Read all about that on the PADS4 website. © 2018 NDS All rights reserved.